The disease which is caused by the reactivation of the herpes zoster virus is called Shingles. It is also known by the name of herpes zoster. It is a localized skin rash which is very painful. Usually there are blisters on the top of the reddish skin. It is similar to chickenpox and is also caused by the same virus. The virus of the chickenpox becomes reactivated and result into shingles but what is the reason behind this reactivation is not sure. Some of the major conditions which accelerate the reactivation are fatigue, stress, HIV/AIDS, treatments of radiation, cancer, due to weak immune system and due to some injury in the skin where rashes occur. 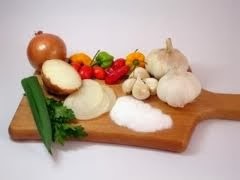 Natural treatments can also help to boost the immune system which is especially important when you develop shingles. 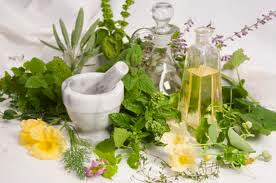 Treatments such as herbal and homeopathic remedies are gentle to use and improve your overall health and wellbeing without the risk of side effects. Use herbs such as Hypoxis rooperi (extract of African Potato) and Viscum album to strengthen the immune system. Astragalus membranaceus acts a rejuvenating tonic and also helps to combat fatigue. Olea europea (extract of olive leaf) and Echinacea are two very useful herbs that have well known anti-bacterial and anti-viral properties. Once you have developed shingles, you may feel tired, run down and have significant pain. Remember to take good care of yourself. Clean the affected area and apply cool compresses to relieve the pain. Relax in a tub of lukewarm water and use calamine lotion to ease the itching. Increase your intake of vitamins to boost your immune system and rest as much as possible. 1. Apple cider vinegar is very effective for shingles. Make use of apple cider vinegar, it will reduce the pain caused by shingles. Even apple cider vinegar can be applied directly on the affected area by dabbing it with a soft cloth and let it dry. Repeat this process as often as needed by you. It will help the blisters to heal more rapidly. 2. As vitamin C help to boost our immune system. So make a habit to intake vitamin C in large quantity that is in between 2000 to 4000 mg.
3. You can also get relief from pain by the intake of MSM. So take 1000 mg at least two times a day. 5. Eliminate sugar from your diet and add these important nutrients to your daily diet - vitamin E, vitamin B12 and vitamin C. It is recommended that you consult with your doctor before starting any vitamin program. 6.E capsules can be squeezed directly onto lesions. 7.Avoid heat as well as tight clothes and itchy fabrics like wool. 8.Calamine lotion may relieve the pain and help dry the lesions. Shingles is a serious illness and before starting any treatment program you should consult with your doctor. Shingles is the same virus as chicken pox. You cannot catch shingles from someone else unless you've never had chicken pox. If you have shingles you should use caution being around pregnant women who have not had chicken pox - you could infect both the woman and her unborn baby. The diagnosis of shingles is determined by the pattern of the rash which is the area that is covered and the blister-like form of the rash. If the rash develops near the eyes, it could lead to an infection of the cornea. Prompt treatment is necessary to reduce the risk of further complications. Additional complications that may occur as a result of shingles include postherpectic neuralgia, inflammation of the brain (encephalitis) and other neurological problems. In addition, shingles can cause hearing problems, temporary or permanent blindness as well as bacterial skin infections. Shingles is best treated immediately to alleviate the pain and reduce the risk of other complications. Prescription medications that can provide relief include oral antiviral medications. Corticosteroids may also be prescribed to reduce swelling and pain associated with shingles. In addition, painkillers, antidepressants as well as anticonvulsants may also be prescribed to help treat shingles. Topical ointments such as calamine lotion can soothe the affected area. There are certain vaccines available to prevent chickenpox as well as shingles. The varicella virus vaccine is a childhood immunization administered between 12 and 18 months. It is also recommended for older children and adults who have never had chickenpox. If you still contract chickenpox after receiving the vaccination it is generally less severe. A vaccine called Zostavax is available to help prevent shingles in adults over 60 years and older, and has dramatically reduced the risk of developing this condition in susceptible individuals.